The basic notions in topology are varied and a comprehensive grounding in point-set topology, the definition and use of the fundamental group, and the beginnings of homology theory requires considerable time. The goal of this book is a focused introduction through these classical topics, aiming throughout at the classical result of the Invariance of Dimension. This text is based on the author's course given at Vassar College and is intended for advanced undergraduate students. It is suitable for a semester-long course on topology for students who have studied real analysis and linear algebra. 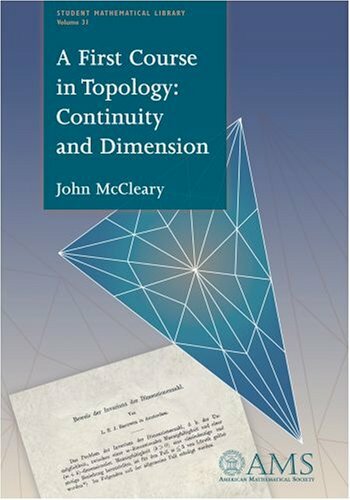 Contents: Basic concepts; Constructing topologies; Connectedness; Separation axioms and the Hausdorff property; Compactness and its relatives; Quotient spaces; Homotopy; The fundamental group and some applications; Covering spaces; etc.